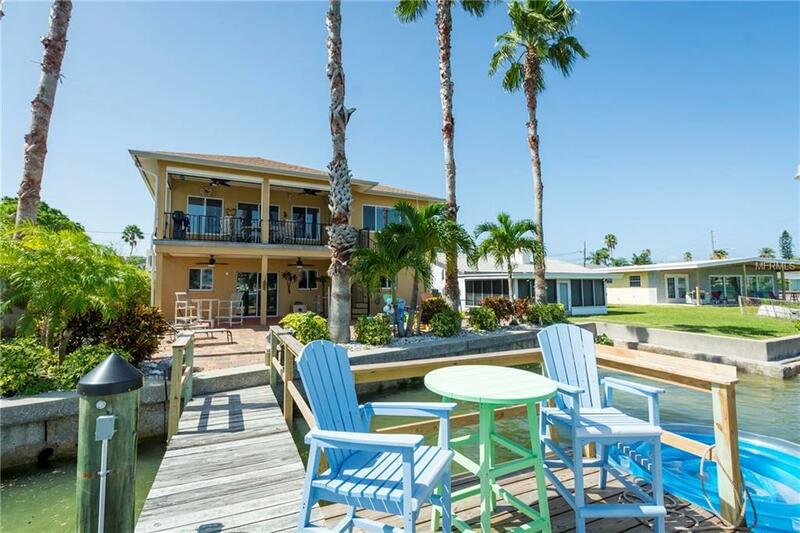 WELCOME TO PARADISE-STUNNING WATER VIEW, BEACH, BOATING, FISHING AND MORE! 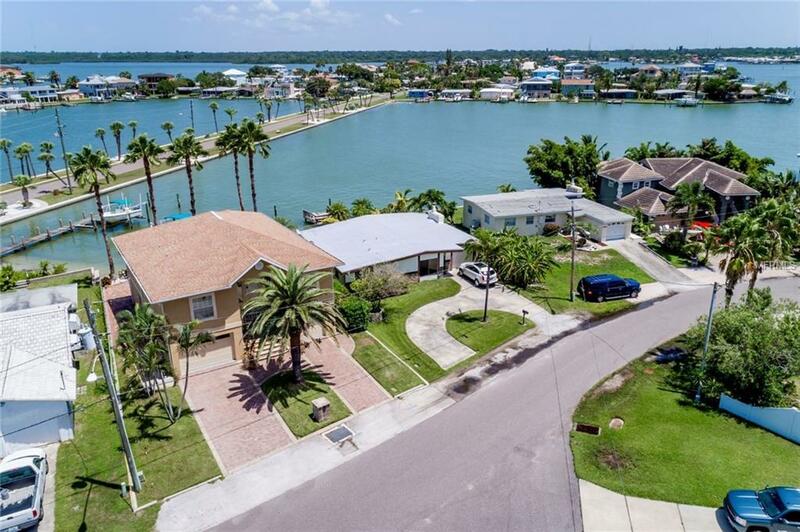 This unique waterfront property offers spectacular waterfront views, great boating with a newly installed 12,000 lb boat lift, fish from your dock. PLUS it boasts your personal sandy beach to launch paddle boards & kayaks! Sit on the covered balcony & listen to the relaxing waves as you enjoy your morning coffee while watching dolphins search for breakfast! Newer elevated construction keeps flood insurance very affordable. Spiral staircase from balcony leads to paver patio with its tropical landscaping perfect for entertaining. Updated gourmet chefs dream kitchen, wood cabinets, granite & quartz countertops, premium appliances, large dining bar with waterfront views from all seats. 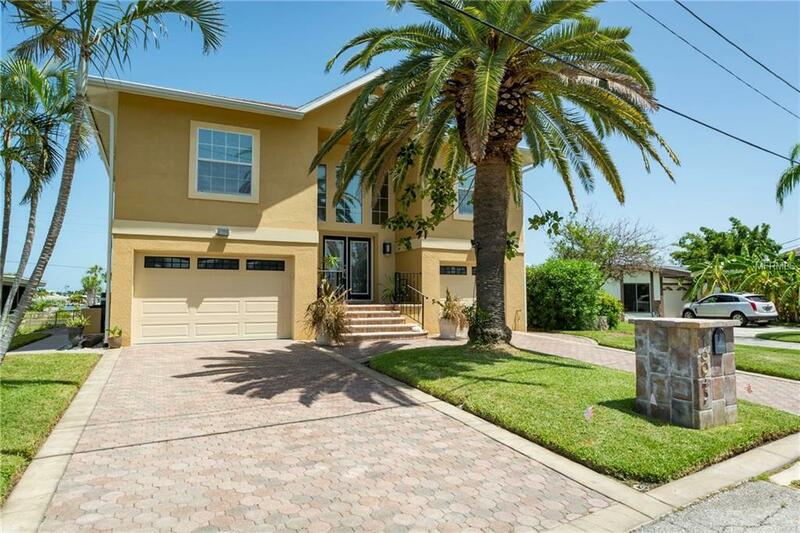 Large master opens to the balcony & more waterfront views. Updated master bathroom with large walk in rain shower & dual sinks. Two spacious bedrooms, bath has been updated with neutral tile, granite countertops & glass shower doors. Lower level bonus room with polished concrete floors, wet bar, wine fridge, built-in desk & cabinets, walk out slider to patio & dock. This level has 4th bedroom & full bathroom can be closed off from the second floor providing endless uses for this spacious ground floor level. This is 2 homes in one! His & her garage space with ample space for bikes & water toys. 2 new zone air conditioners installed this year. 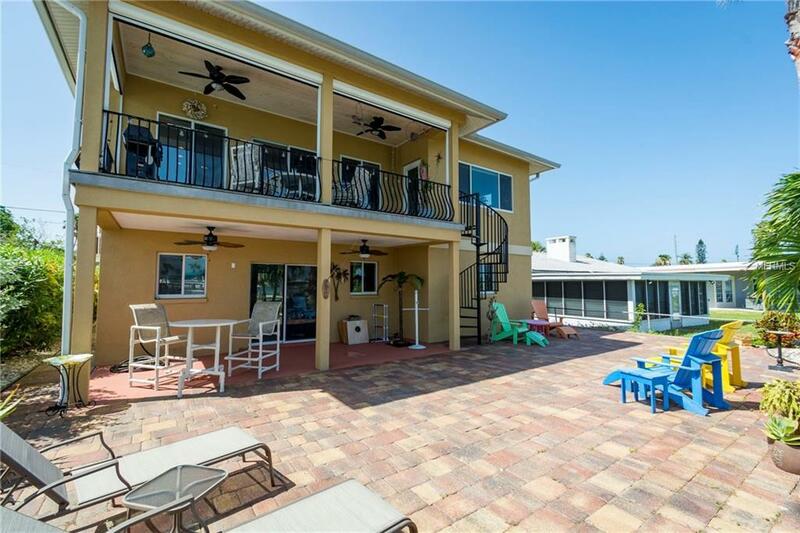 Private beach access & park for Redington beach. Price below appraisal. Additional Lease Restrictions Buyer Should Check With The Town Of Redington Beach For Lease Restrictions As They Could Be Subject To Change.